This activity has four different puzzles. 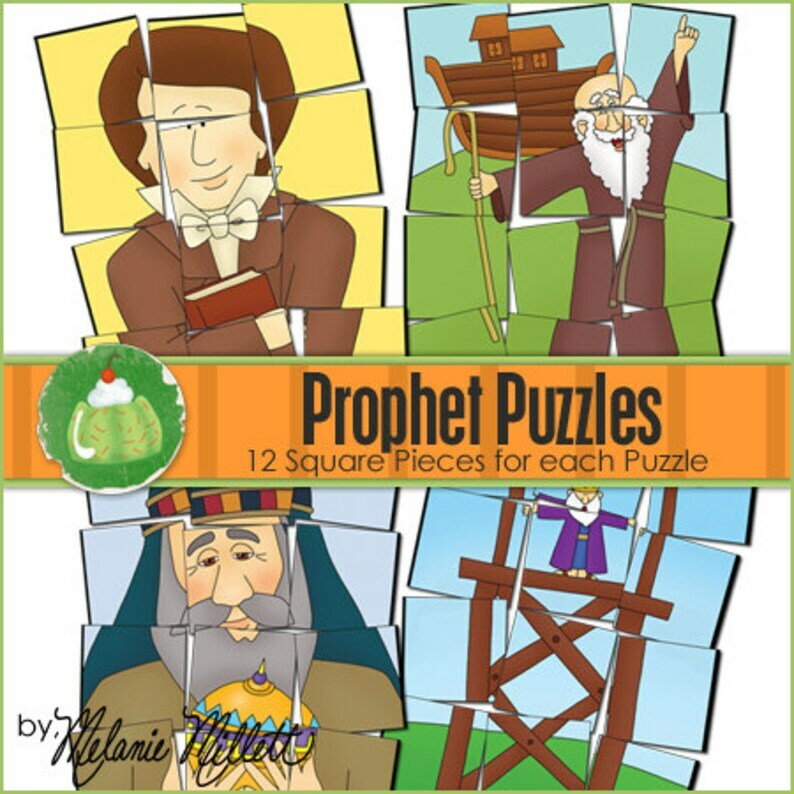 Each one features a different prophet. There are many ways you can use these fun puzzles. For example, to help with your Family Home Evening, put numbers on the backs of each puzzle piece for one of the prophets. Then have your children choose a puzzle piece and answer the question that goes with that puzzle. You will find more ideas included with this download. Everything is printable on 8 1/2" x 11" paper on your home printer and all instructions are included on how to put it all together and how to play the game.